By: Bishop Monroe Saunders Jr.
Change is transformational; it enables us to become something or someone different. It is the continuous emerging of "the me," through a dynamic process of renewal. Mere religious experience does not bring about change nor does it advance the soul or enable transformational development. The in-Christ experience advances us to a new identity. This experience transcends feelings, or the sensual aspect of being. In the flow of the Spirit the world changes because we see it from a different perspective. In truth the world has not changed but we have captured a new vision of it. 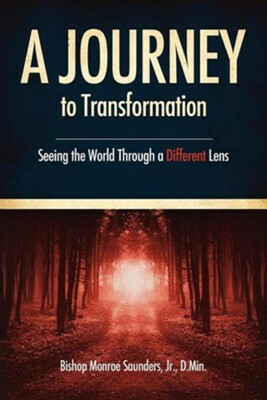 It is through the renewing of our minds that internal change and transformation enables us to see the world through a different lens...A Journey to Transformation is an effort to lead one into reflection on various topics through the use of word and thought pictures meant to stimulate thinking. Each thought is connected to a biblical reference that brings scriptural application to the expressed thought or word picture. To see things differently we must change the way we think. To experience transformation we must yield to the spiritual process of the "renewing of the mind." This is an experience of perpetual kenosis...one through which we are always emptying to allow the filling of the fresh and the new that flows from the mind of God into the mind of his greatest creation Bishop Monroe Saunders, Jr, author of the recently published "A Journey to Faith" is the Senior Pastor of Transformation Church of Jesus Christ in Baltimore, Maryland, and the Presiding Bishop of the United Church of Jesus Christ (Apostolic).Bishop Saunders is dynamic teacher, preacher and leader who senses the urgency for unity in the Body of Christ and the need for transformative spiritual development. He is considered a visionary and leader of spiritual transformation during this critical time in the history of the Church and the world. Bishop Saunders is married to the lovely Winsome Ricketts Saunders of Toronto, Canada and they live in Ellicott City, Maryland. They have two sons, Duane and Darwin, who also live in Maryland with their families. I'm the author/artist and I want to review A Journey to Transformation.